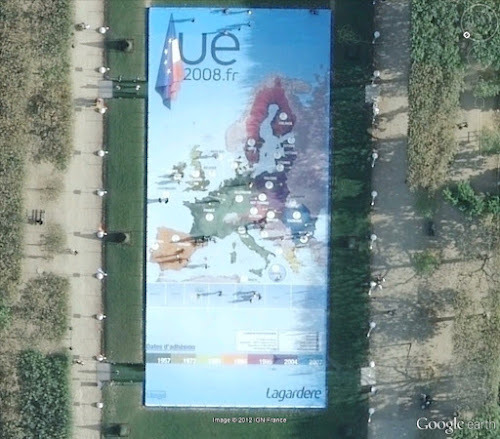 While browsing Google Earth, found this huge EU poster spread on the grounds near the Eiffel Tower. The poster measures about 25x55 metres (82x180 ft). 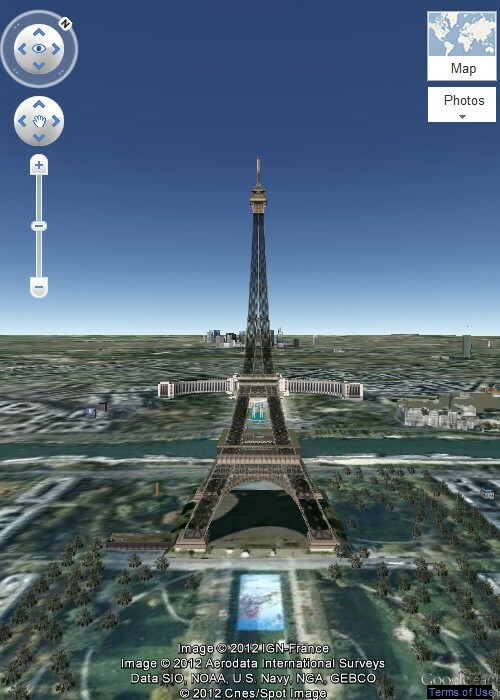 France had assumed presidency of European Union in July 2008 and at that time the Eiffel Tower was lit up with the colours and insignia of the EU flag. The GE imagery in which the poster is available is dated 01/01/2008 and my guess is that the poster could be a run up for taking over the presidency in July. I couldn't find any information about this poster and it is not known how long the poster was displayed. 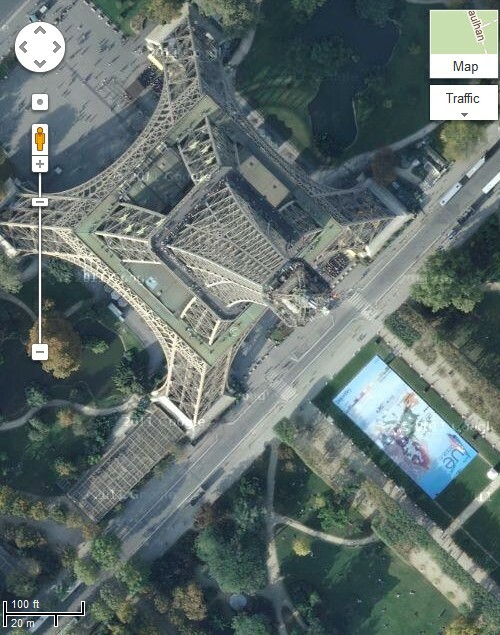 The subsequent GE imagery of 01/01/2011 doesn't show the poster. The right bottom of the poster bears the name of French Media giant Lagardère and presumably they had sponsored it.